Morning, all! I apologize for the light posting of late. It's been a crazy holiday season and I've been slow with new reading. Problems with attention, mostly, but also work stuff that does take precedence. Anywho, with season 2 of The Expanse on the horizon (February 1! ), I've been diving back into that world to get ready. I'll post a review of the second book, Caliban's War, soon. Today, however, I want to look at a few of the shorts and novellas that bring us up to that point. Mars has been colonized, but the Outer Belt has so far been out of reach. It takes the building of a very special drive to allow for that, a drive created by a man who gives his very life to bring it into the world. 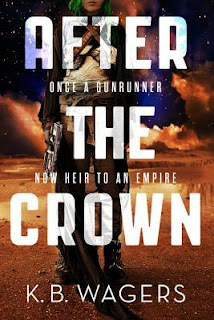 This prequel is about Solomon and his drive. It's a fun little short, about 30 pages, with a lot of character and world development. We meet Solomon and the people around him. Most importantly, we meet Solomon's wife and see how their relationship grew and was affected by his desire to build the drive. Though his accomplishment changes everything, making further exploration and settlement of the solar system possible, it comes at great cost. Next up is "The Churn" - Amos's story. Amos Burton is an Earther, like James Holden, but no one really knows much about his past. It's clear violence runs in his blood and his anger is something no one wants to become the focus of. But Amos is more than just muscle. I liked this story quite a bit. Up through book two we see very little of Earth and its current situation. We also get little more than hints about Amos's background (there is actually a very telling detail in Caliban's War). Amos, we learn, isn't even Amos. He's got a pretty dark background, which we expect given the kind of character he is in the stories. But even I wasn't prepared for this! His earth is much different from what we see through Avasarala's eyes, that's for certain. "The Churn" also has a bit of a different feel to it than the others - or, maybe it's better to say that like the other tales, "The Churn" displays more of the author's proclivity to and talent in blending and mixing elements from various genres. And finally, though I really should have read through one more by now, we have "The Butcher of Anderson Station." Much has been made about Fred Johnson's past. The leader of the OPA, a group tentatively balanced between terrorist organization and political powerhouse, is known throughout the galaxy. And it's not for being a diplomat. Once a soldier for the UN, Johnson took part in a horrific act of political genocide. This is his side of the story. Fred Johnson looms large in the world of The Expanse. If you've watched the show, you've actually seen much of the content of this particular story, as it was worked into an episode of the first season. The books, however, save the story for this little novella. I should note that none of the shorts or novellas so far are completely necessary to the series. You're not missing key information if you don't read them. But I think that's what makes them more enjoyable. These pieces each tell a part of the story that doesn't get much focus in the books as a whole. And yes, we can get around that. But if you're a fan, or if you're chomping at the bit for the next full installment, they do provide detail about the world and the characters that's useful and can tide you over a bit! I definitely fall into that latter category. I love this series and I love the world! As I wait in great anticipation of the second season of the show, too, I find that I'm craving more and more of that world, so I do welcome these little extras. 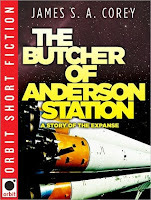 "The Butcher of Anderson Station"
There are, according to the authors, nine planned books in the series. No word on the number of novellas/shorts but apparently they will be released in one full volume once the series has concluded. 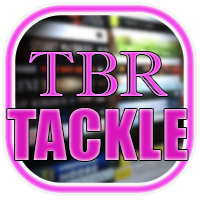 I've decided to jump on board with Top Ten Tuesday, hosted by The Broke and the Bookish. 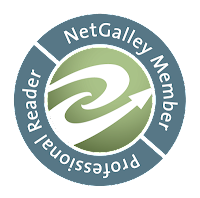 This week the topic is: Favorite Reads of 2016. I keep a running list of favorites throughout the year thanks to Riffle. I do generally have a hard time narrowing so I limit myself to just releases from that year rather than overall favorite reads. 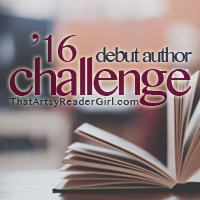 And still, here are my 15 faves from 2016! Nell is not exactly adventurous; any choice requires planning and evaluating. But when her boyfriend suggests a trip to Paris together, she takes him up on it and buys the tickets. Unfortunately, Nell's boyfriend didn't really plan to take her to Paris at all and flakes out on the trip, leaving poor Nell in the City of Lights all by herself! Now Nell is faced with a choice: head home, defeated (which is what she'd normally do), or stay and enjoy the experience. Jojo Moyes's latest is a collection of shorts headlined by the title story described above. It's a cute collection, a bit too cute in some instances, but overall quite enjoyable. Each tale is about discovery - discovery of self, discovery of secrets - and growth, in one way or another. Nell's tale is charming and definitely the best of the bunch, in part due to the fact that it's also the longest, allowing the reader to get to know Nell and the people around her. This is something Moyes definitely accomplishes with the rest of the stories as well, but spending more time with Nell does endear the reader more to her story, without a doubt. Aside from "Paris" my two favorite stories were "Crocodile Shoes," wherein a mixup of bags ends up giving a woman a leg up in the job and confidence department, and "The Christmas List," which is quite perfect for this time of year! There, a good deed leads a harried character to make a big decision. 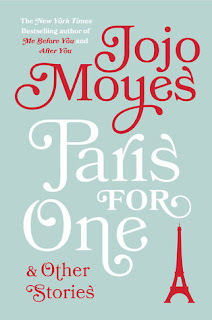 Longtime fans of Moyes's would no doubt prefer a full novel in hand, but Paris For One will definitely tide readers over until then. 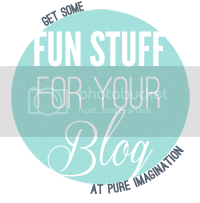 Plus, short stories (and sweet and feel good stories in particular) are perfect for this time of year! "Thirteen Days with John C"
When Jamie Watson is offered a rugby scholarship to Sherringford, he isn't all that jazzed. It's not even like he's that great of a rugby player, it's just a way for him to work out his anger and aggression on the field rather than the alternative. Plus, Sherringford is a whole continent away from his mother and sister, and it's just around the figurative corner from the father he barely speaks to. But Sherringford does have one highlight: Charlotte Holmes. As the descendants of the historic best friends and investigators, Jamie feels certain that he and Charlotte are supposed to be friends. But just as he imagines kindling that relationship, the two are thrown together by fate. A fellow hall mate of Jamie's is murdered in his bed, the scene eerily reminiscent of one of the classic Holmes cases. Unfortunately, Jamie was last seen fighting the boy and Charlotte's final words to him were essentially a promise of murder. Now the two teens find themselves forced to work together in order to clear their names. And as their friendship does inevitably blossom, the killer seems more determined than ever to see the two framed for murder! A Study in Charlotte is cute and, in my opinion as an ho hum fan of Doyle's work (meaning, I can't be relied on to do an in depth examination of how true Brittany Cavallero has been to the source material), I thought it was very much in the spirit of - and honoring - Doyle's creation. As characters, I loved Jamie. He has anger issues, abandonment issues, and is more than a little obsessed with Charlotte. It runs in the family apparently - his own father has long followed in classic Watson behavior by studying and obsessing over the Holmeses as well. On the flip side, something about Charlotte felt a little too forced for me. She's quirky, which I definitely appreciated, and harbors quite a bit of understandable animosity towards her family. Plus, we find out that she does indeed have very good reason to want the dead boy gone. Other aspects of her personality, though, didn't quite mesh for me. In particular where it pertains to how the relationship with Jamie builds. There were times in the narrative where both characters lost it. Really lost it! With one another. And that happens with friends, certainly, but I think the story needed more fleshing out of their relationship. More scaffolding, so to speak, for a relationship that grows out of necessity and inevitability. And the disruptions felt unprompted (barring one case where we find out it actually is). It didn't feel as though the relationship between the characters was growing as organically as it should have for a smooth story. Then there's the mystery itself. There were some leaps that went maybe a bit too far. And maybe, while still in that spirit of Doyle's work, would have benefitted from just a bit more couching in present reality. Not the actual whodunit part, but some of the dunits as the book progressed. This last complaint, though, is almost moot. The killer is following Holmes cases. I did absolutely love the fact that the premise here is that Holmes and Watson were very real. Both Jamie and Charlotte grow up being force fed Watson's tales. There's family history, there's an acceptance that these kids - because of who they are - can and will do things other kids won't. It's a fabulous premise, to be honest. 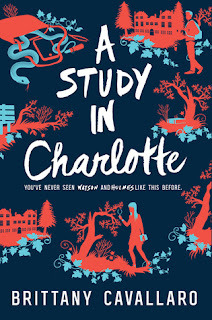 So I'm a bit of two minds about A Study in Charlotte. I want to love these characters enough to follow their continued story (The Last of August is due out in February). And while I do like them and am curious enough to move onto book 2, I'm not entirely committed to them just yet. I've decided to jump on board with Top Ten Tuesday, hosted by The Broke and the Bookish. This week the topic is: Books I Wouldn't Mind Santa Bringing. Chance and Patrick Rain are as close as brothers can be. Orphaned and now being raised by their aunt and uncle, the two teens are always side by side. Just as they are the night they notice something strange at a neighboring farm. Upon inspection, they find two kids locked up in their house while their own mother tries to attack them. Their father? Well he'd climbed a water tower and physically exploded, spreading what looks like spores through the air. Confused, the two boys (with the rescued siblings in tow) return home only to find their own guardians have suffered the same fate. It doesn't take long for them to realize it's the fate of all the adults in their small town - anyone over the age of eighteen, in fact. And as they take refuge amongst a small band of kids at the local high school, they desperately search for answers and a cure to the strange outbreak - before Patrick turns eighteen himself. 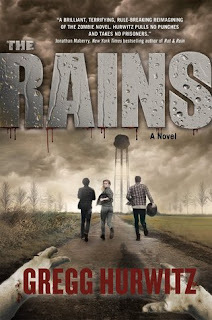 Gregg Hurwitz makes his teen debut with The Rains, a fun and fast paced alien invasion tale. So an asteroid has crash landed in Creek's Cause, the small town and farming community that Chance and Patrick call home. And it doesn't take long for them to draw the conclusion that what's happening to the adults is tied to said asteroid. There's some science-y talk and theorizing on the part of the one surviving adult, a doctor who's retired and become a high school teacher after multiple sclerosis prevents his continued practice. The theory is that the spores attack the brain's white matter, which is still forming in children, leaving them immune until they turn eighteen. The literal minute they turn eighteen. But that's not the only danger to the children. The changed adults have been witnessed attacking and snatching up children. To what purpose is something the brothers will only later discover. The story is told from Chance's perspective, laid out as a journal that he's written in an attempt to recount the strange occurrences in Creek's Cause. I liked Chance as a character. 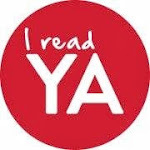 Through his eyes, the reader is given a clear understanding of the situation and a look at the beginning breakdown of the society of remaining kids. And he's fleshed out quite well, with lingering issues over his parents' deaths, a strong loyalty and bond to his brother, and a bravery that comes in handy as their situation worsens. There was a bit of a cheesy element to the story, though. The fact that the kids turn right at the time of their eighteenth birthday doesn't necessarily gel with the theory that the spores attack white matter considering human development doesn't really work that way - and this is somewhat addressed as a curiosity, but not to the extent that any explanation is found (which makes sense all things considered). This is, however, one of the the first of many bombshell moments (again something that's literally addressed by one of the character's comments), which start to feel just a little too... convenient, excessive, trite. Maybe just too. Basically, The Rains is a fun read if you don't think too hard. If you don't poke some of the plot holes. And especially if you don't mind that it's THE FIRST IN A MULTI-BOOK STORY! I wasn't expecting that last one. I did come to the realization that there was not going to be a satisfying conclusion when, with about 20 pages left to the book, things weren't really wrapping up in a way that made sense for that few remaining pages. And of course because there is no conclusion and we have to wait for a second installment, there was yet another bombshell in the end as well. Two, actually. I'm not quite sure how I feel about the end. Again, this was a fun and fast paced read. I love the alien invasion aspect and especially the kids left to fend for themselves (which will make great tension for a second book if we are to continue in Creek's Cause in particular). And there was a bit of a hint towards one of those last revelations as well, which I am anxious to see an explanation to. But the way it was executed felt thrown in at the last minute. Like someone decided it should in fact be a series rather than a standalone and what can we do to stretch it out. Good morning, readers! 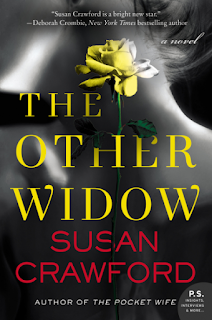 Today I'm kicking off the TLC blog tour for Susan Crawford's The Other Widow. Dorrie lives with her husband, Samuel, and daughter, Lily, and though her home life isn't exactly what she'd dreamed, she's content enough. Especially when she begins having an affair with her boss, Joe. No one knows, especially not Samuel or Joe's wife, Karen. But when Joe is killed in a car accident, just moments after telling Dorrie it isn't safe for them anymore, she begins to suspect that at least one person knows about the affair. Who and why that would make them targets are the big questions Dorrie must find answers to if she's to avoid the same fate as Joe. I enjoyed The Other Widow. 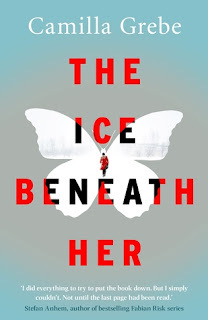 It's a thriller set in snowy Boston and featuring three narrators: Dorrie, Karen, and Maggie - an ex cop turned insurance investigator who's been assigned Joe's case. If I had to pick a favorite of these three, it would probably be Maggie. But it'd be a tough choice and she'd really only edge out the other two because she's the investigator. All three are richly drawn and flawed. Obviously neither Karen or Dorrie is happy in their marriages. Karen reveals she's suspected her husband's infidelity for some time. Dorrie herself reveals some of the impetus for the affair, though it's left to the reader to tease out or hypothesize about some of the other details, especially as pertains to Joe. Maggie's job as an insurance investigator is to find reason for the insurance company not to pay. Which, all things considered, doesn't necessarily lead to a likable character. But again her story is much more fleshed out than just that. As a former cop, she immediately has suspicions about the case thanks to a recently increased policy. Usually a red flag in any mystery. There's a secondary mystery here as well. Joe is part owner of a renovation company - the same company where Dorrie works as his assistant and is training to take over as bookkeeper. Just before Joe dies, he discusses an old renovation that became headlines after a tragic house fire. Bits and pieces of this story filter through Dorrie as random information floats her way, leading both her and the reader to wonder if everything that's happening is really down to just the affair. Crawford does a good job of keeping the reader guessing. Any big reveals I was able to figure out (and there were a couple thanks to carefully placed clues on Crawford's part) didn't spoil the end by any means. 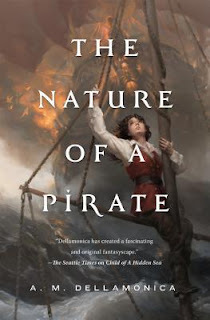 And the pacing was such that even knocked down with a massive cold (as I have been all week) I was still able to be drawn in and read much of the book in one sitting. As someone who's always viewed being sick as more time to read, and then been sorely disappointed with the fact that my body disagrees, this is an accomplishment! And now for the giveaway: to enter, simply fill out the Rafflecopter below before Monday, December 19. Open US only. Good luck! For more on Susan Crawford and her work you can visit her website. You can also like her on Facebook and follow her on Twitter.